azu/mdline: Markdown timeline format and toolkit. 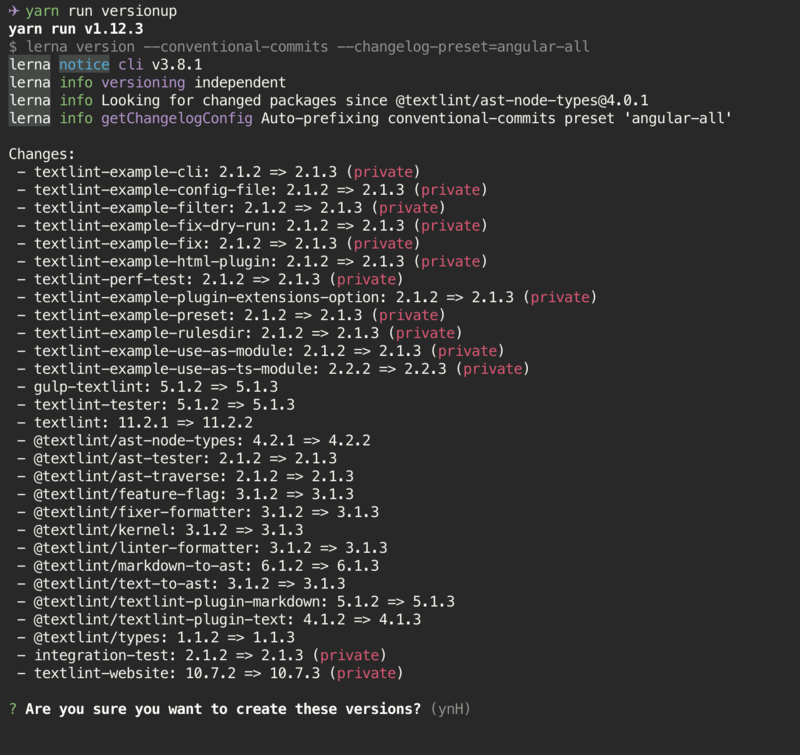 conventional-changelog/releaser-tools: Create a GitHub/GitLab/etc. release using a project's commit messages and metadata. textlint/textlint: The pluggable natural language linter for text and markdown. azu/immutable-array-prototype: A collection of Immutable Array prototype methods(Per method packages).